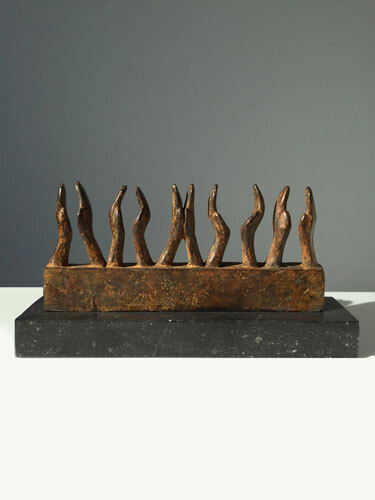 Awards - Bronze sculptures for an award ceremony. 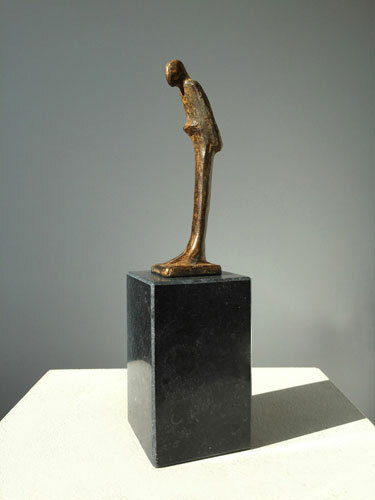 A small bronze sculpture, a standing figure making a bow is suitable for any award ceremony. The symbolism: Bravo! Well done! Chapeau! 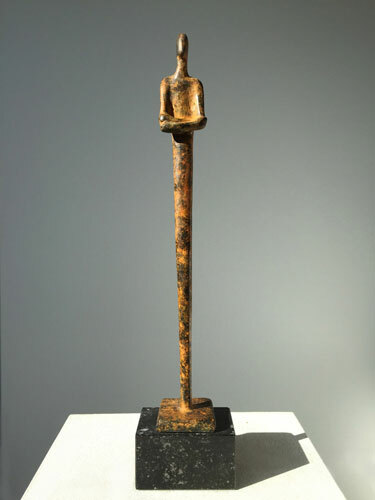 Bronze statuette as prize sculpture for an actor. Work of art as award for an entrepreneur, businessman or company. Edition: 8, this work of art is available. A beautiful lifetime achievement award. Work of art for a manager. Award trophy for an entrepreneur. Edition: 8, this bronze work of art is available. 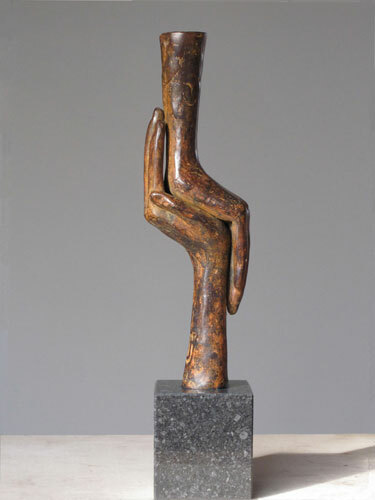 Two hands, one hand supports and carries the other and lifts it up to a higher level, this piece is expressing appreciation. The upper hand symbolises confidence, faith and gratitude. 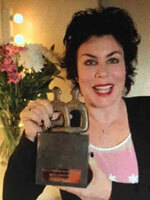 Bronze sculpture as award for an entrepreneur, businessman. Trophy for an actor, board member or manager. 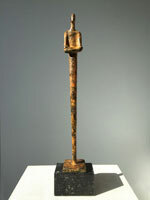 Edition: 2, this bronze sculpture is available. This could be a great sculpture for an actor. Two silhouettes, male and female, symbolic for the person who has it all. 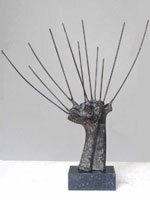 Award sculpture for an actor or actress. Trophy for the best entrepreneur. Edition: 8, this work is not available. This award sculpture is suitable for actors and businessmen. It expresses to have admiration for, this applause never stops. Bronze prize sculpture for an actor. Work of art for an award ceremony. 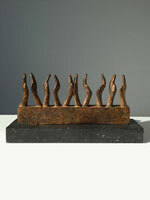 A small but significant bronze sculpture, a well-deserved applause. This award is suitable for many occasions. Corporate award for a manager. Prize sculpture for an actor. I am a passionate sculptor, that's for sure. I create bronze sculptures in the first place for myself, and on commission for individuals and businesses around the world. 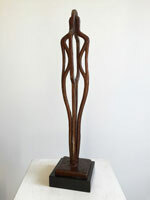 Art for businesses and award sculptures. I love to design corporate sculptures and statuettes for award ceremonies. 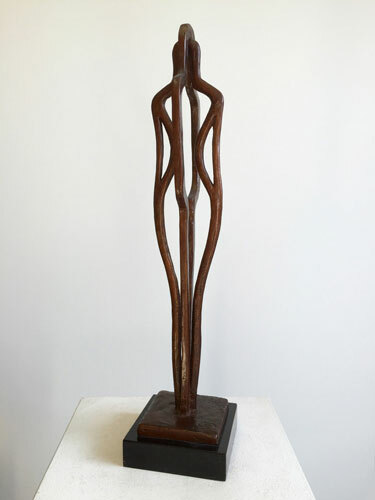 I make bronze sculptures for various awards ceremonies, from one off art commissions up to large scale production for annual awards ceremonies. Every sculpture in my collection is available. Just in case it might happen that your award ceremony will take place in a few days. I would love to make one or more works of art for your award show. If I design a sculpture for you, of course I will keep you informed during the project and I will send you pictures for approval. Your art assignment will be finalised within two months. I am ready for it when you are! Please fill out the order form or send me an e-mail. The sculpture will be sent by registered mail, delivery in 3 -9 days max, this is depending on where you live, fast delivery in business areas and large cities but do you live in a village it may take 9 days. I assure you that there will be no delay at the customs!